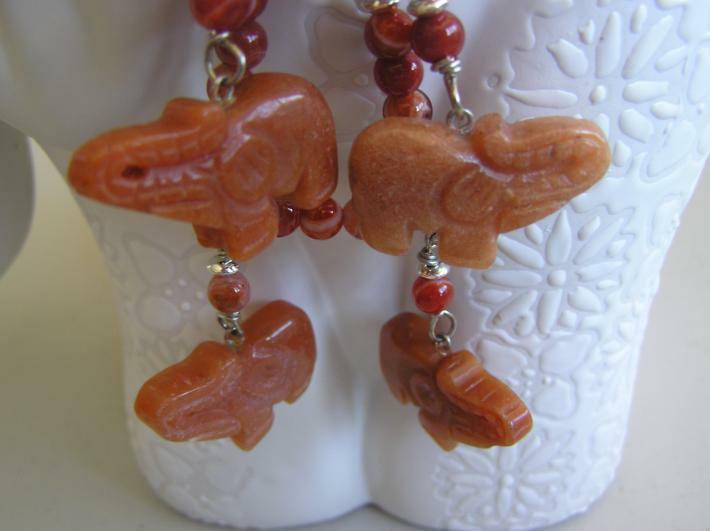 I made Looking for a Waterhole using some hand carved Aventurine Elephants. 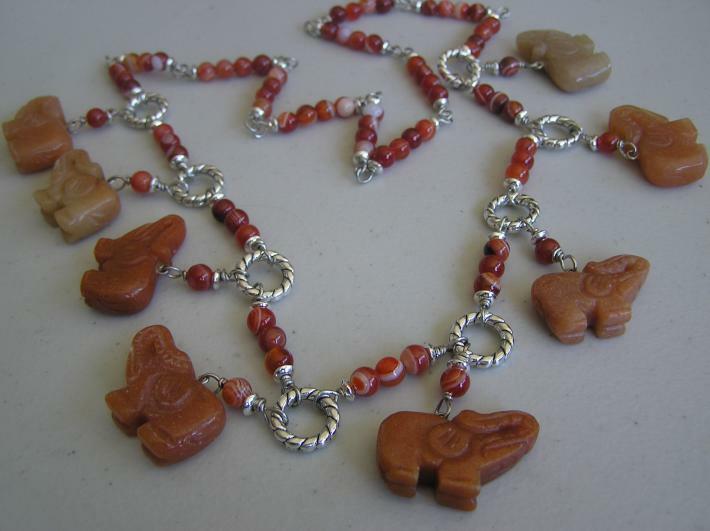 To match the elephants I used red banded Agate beads with a Bali Sterling Silver spacer and ring bead. The wire used in this wire wrapping is Argent Silver/non tarnishing. 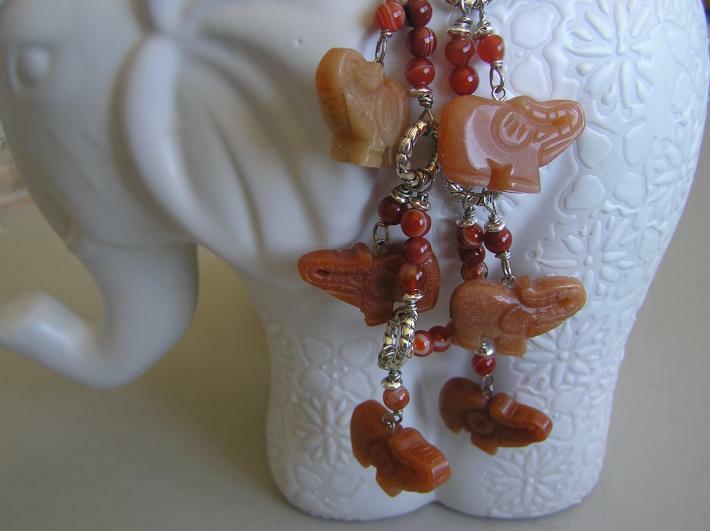 The elephant necklace is approximately 29". Four elephants go one way and the other four go in the opposite direction - thus Looking for a Waterhole, but elephants have a great memory and know where the source of their water is found. Aventurine is most commonly green, though it also forms in blue, red to reddish-brown, dusty purple, orange or peach, yellow, and silver gray. It is mostly translucent and often banded, but an overabundance of an included mineral may render it opaque. 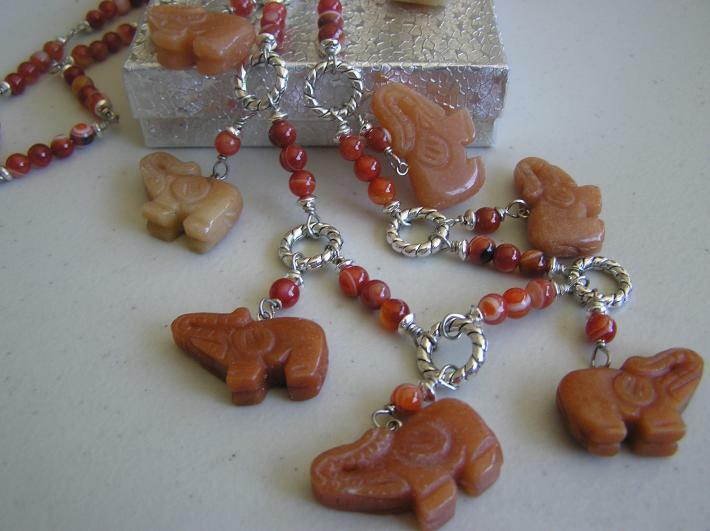 The color of Green Aventurine comes from Fushite particles within the Quartz, while shades of red, brown and orange are attributed to Hematite or Goethite inclusions. 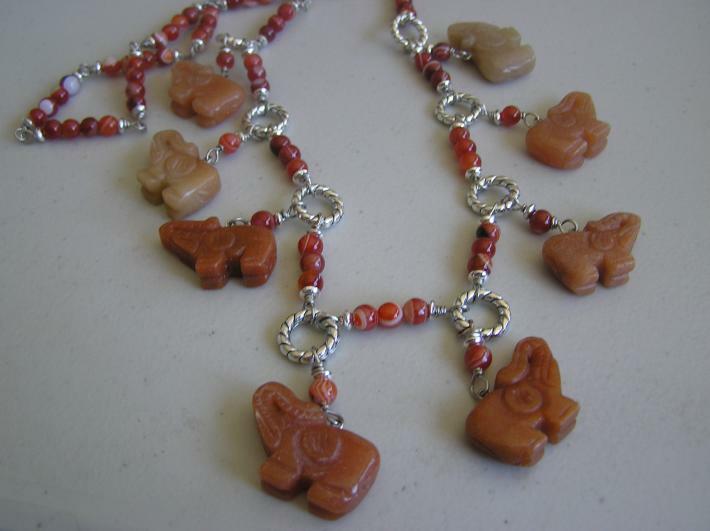 Peach and yellow Aventurine include Pyrite with their Mica crystals, Blue Aventurine contains inclusions of Dumortierite, while the purple variety is colored by Lepidolite.